This tutorial guides you how to sync Evolution to online Fruux Calendar. By syncing, you have an offline copy of your Fruux calendar on your Evolution, and you can edit that calendar from Evolution. The summary is: use the Thunderbird tutorial instead of Evolution from the official Fruux documentation. Make sure your online calendar is ready e.g. it not empty from tasks or schedules. 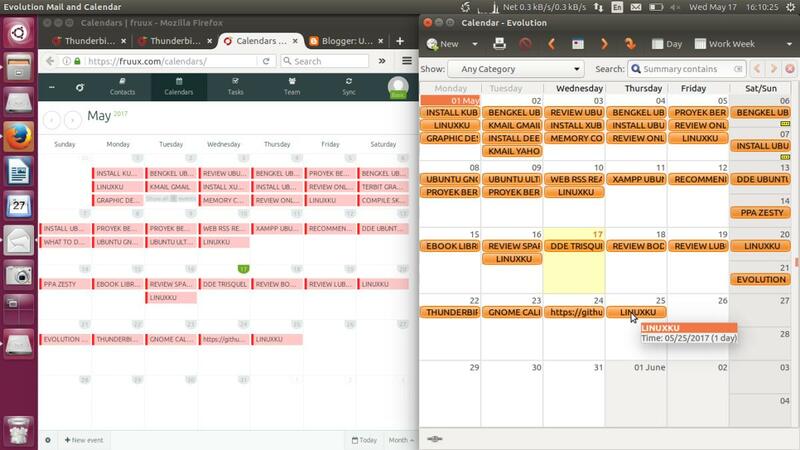 You may have more than one calendar and also import .ics from another calendar application. 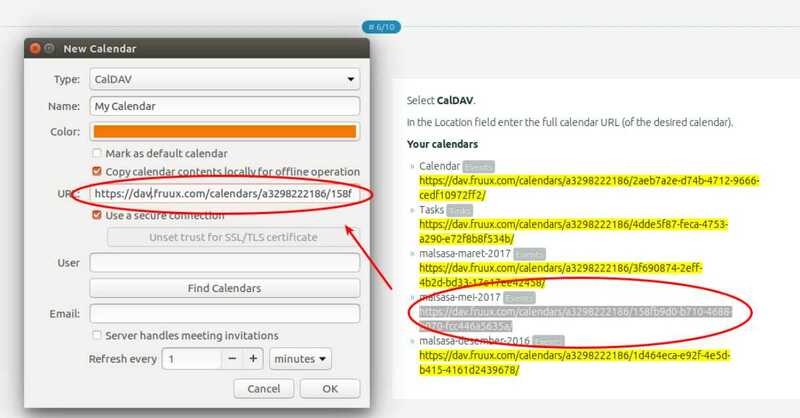 About Fruux: it is an online service similar to Google Calendar but using free software Sabre/DAV as CalDAV and CardDav server. It offers both gratis and commercial accounts so everybody can use Fruux. More about free software used behind Fruux here. Login to your Fruux account > go to Sync page > press + Sync button > choose Thunderbird from the big list of applications > name it ""My Schedules "or anything as you wish. After creating new device, on the documentation page, select "Calendars & Tasks" tab to see guide page for calendar syncing. On this page you must see list of calendar links and your username + password. 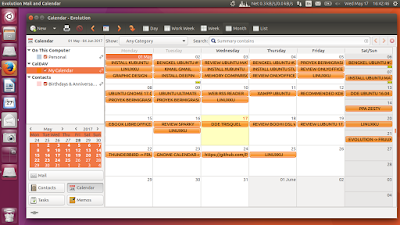 Now open Evolution on Ubuntu > go to menu File > New > Calendar. 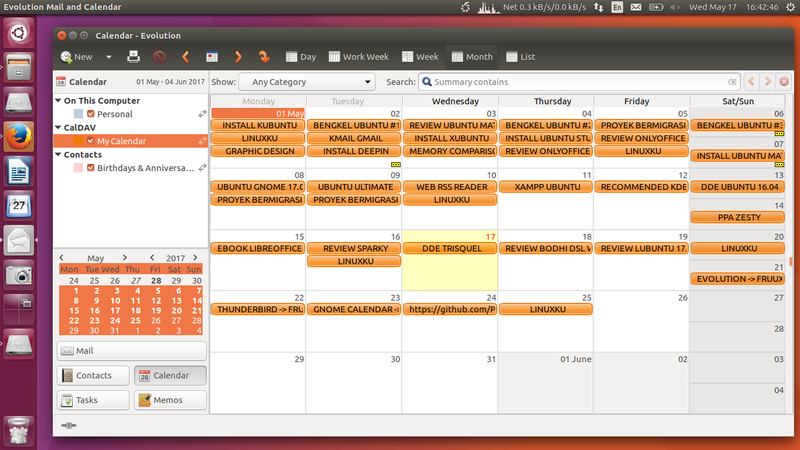 Then select CalDAV > name this calendar "My Calendar" or anything > give it a color. 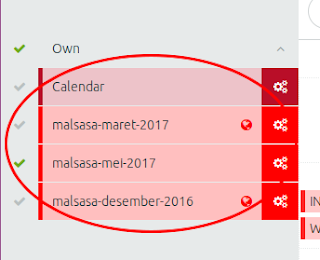 Now go back to your browser to see the Calendar URL from Fruux page > copy the URL of your desired calendar (if there are many calendars) > paste it on URL field. 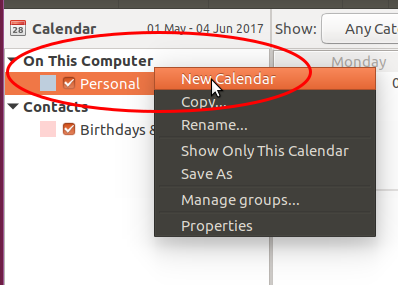 check on "Copy calendar contents" so you can use this calendar when offline. Press OK so the new calendar "My Calendar"
After pressing OK, Evolution will contact Fruux server and it will ask you for username & password of the Calendar (not your Fruux account). Enter them on the dialog "Calendar authentication request". Press OK.
After pressing OK, Evolution will login to your Fruux account and download the calendar you've selected. This is how it looks on my Evolution while successfully synced to Fruux. If there is a problem, you can verify that the calendar you download is the same as on Fruux. 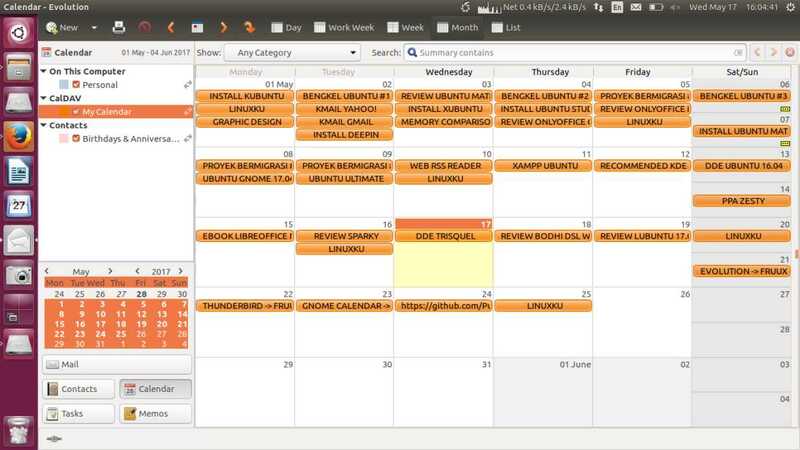 Picture below showing Firefox with Fruux and Evolution with the synced calendar. You can also test it, create a new task on Evolution and it should appears on Fruux, and vice versa. If so, then they're synced successfully. Now you can sync another Evolution on another computers like this one. Get ready to work! calendar, fruux, gnome evolution, online calendar.